Sunday, May 13, 2018 by: Isabelle Z. (Natural News) Argentina could soon follow in Venezuela’s footsteps as the country moves toward financial collapse. The peso is dropping while prices rise dramatically, and Argentina has now made the very serious move of entering talks with the International Monetary Fund to seek financial rescue. It’s an interesting step for the country given its history. When Argentina defaulted on $132 billion in foreign debt in 2001, the IMF admitted shortly thereafter that its support had prolonged the country’s crisis. The events of 2001 left one out of every five Argentineans unemployed and spurred 12 years of populist rule. Many consider the move to be a political gamble by President Mauricio Macri, who is hoping to boost confidence among markets and get the economy back on track ahead of next year’s presidential election. Some feel that Macri is trying to lead the country in the right direction financially, but making up for years of high socialist government spending is proving to be a weighty task. Last week, the central bank announced a rate increase to 40 percent, with the country’s 12-month inflation rate far exceeding its 15 percent target at 25.4 percent. Since the beginning of the year, the peso has gone down more than 20 percent versus the U.S. dollar. The recent strengthening of the dollar is negatively impacting Argentina because its currency isn’t as competitive, and borrowing in dollars will only cause its debt to grow. It is not yet clear how much the IMF could potentially lend the nation. This should serve as a reminder that no nation is immune to financial collapse. You might think that Argentina hasn’t been in the best shape financially for quite some time – and you’d be right – but consider this: It was one of the top ten richest countries on the planet just a hundred years ago, and it now ranks 87th. Venezuela, too, was once a wealthy nation – the richest in Latin America on account of being home to the biggest supply of crude oil in the world. A turn toward socialism and government overspending on welfare programs, among other factors, reversed the country’s fortunes. These days, it’s running out of food altogether as overcrowded hospitals grapple with a lack of medicine and electricity is not guaranteed. Its people are sick and starving, so much so that the average Venezuelan who lives in poverty lost a disturbing 19 pounds in just one year. Experts have said the country’s economy has not just collapsed; it’s reached a point of no return. Its currency has lost a nearly unbelievable 99.9 percent of its dollar value in the last two years. Malaria, which was once eradicated there, has now resurfaced, and the country’s homicide rate is now the second highest in the world. The Venezuelan people’s desperate hunger distracts them from pushing for regime change as they focus what little energy they have left on merely surviving. It’s a nightmare scenario that could become reality in Argentina and anywhere else on the planet faster than you might think. 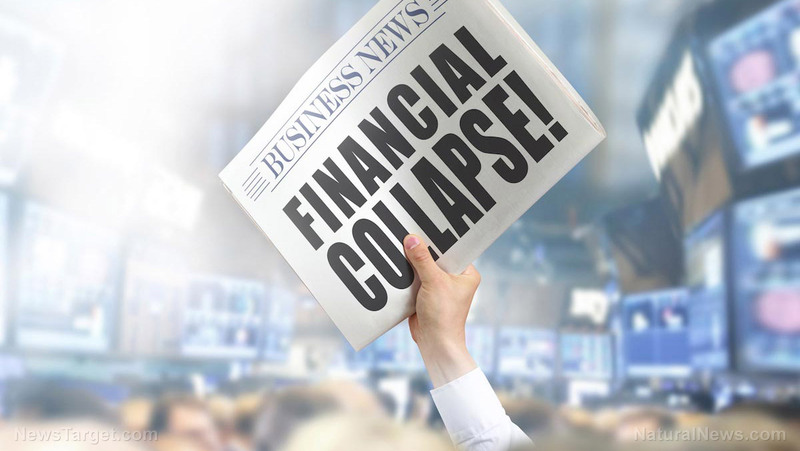 Read DebtCollapse.news for more news about the global collapse of debt.